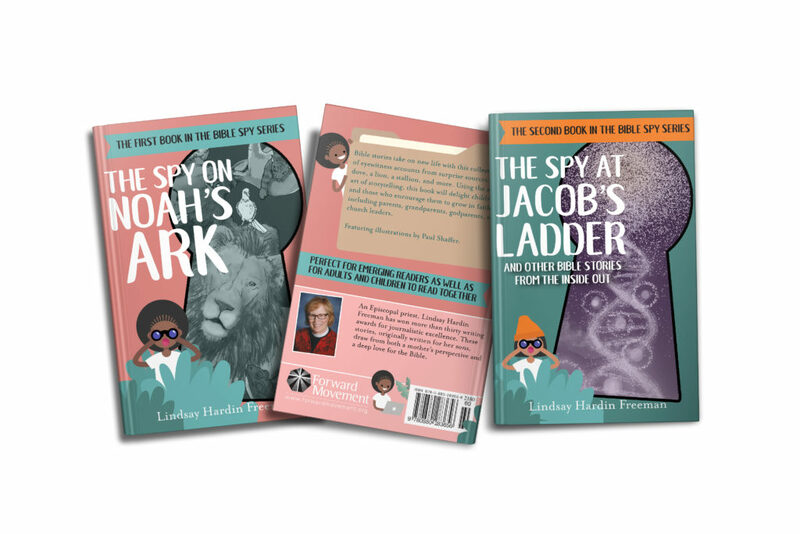 I Spy a Giveaway And now, dear friends, you, too, can own the two books The Bible Spy Series courtesy of a Forward Movement giveaway! You, too, can read, laugh and ponder with your children what it must have been like to be the whale that swallowed Jonah while swimming around in the Mediterranean Sea. Want to enter our giveaway? Just do two things: Like the Grow Christians Facebook page. Then, comment on the Facebook post announcing this giveaway letting us know one of your favorite Grow Christians' posts. A couple of weeks ago I laid down with my nine-year-old son to read Lindsay Hardin Freeman’s book The Spy on Noah’s Ark. I flipped to our bookmark where we had left off a few nights earlier and began to read about Moses atop Mount Sinai. My son stopped me, “I already read that one.” So I turned to the next chapter about young David and his trusty slingshot. He told me he read that one, too. “How many of these have you read?,” I asked. “Uhhh, a lot,” he responded. Hill told me he skipped around in the book, reading the chapters that seemed interesting to him: Jonah, Moses, David, Daniel. I was taken aback. 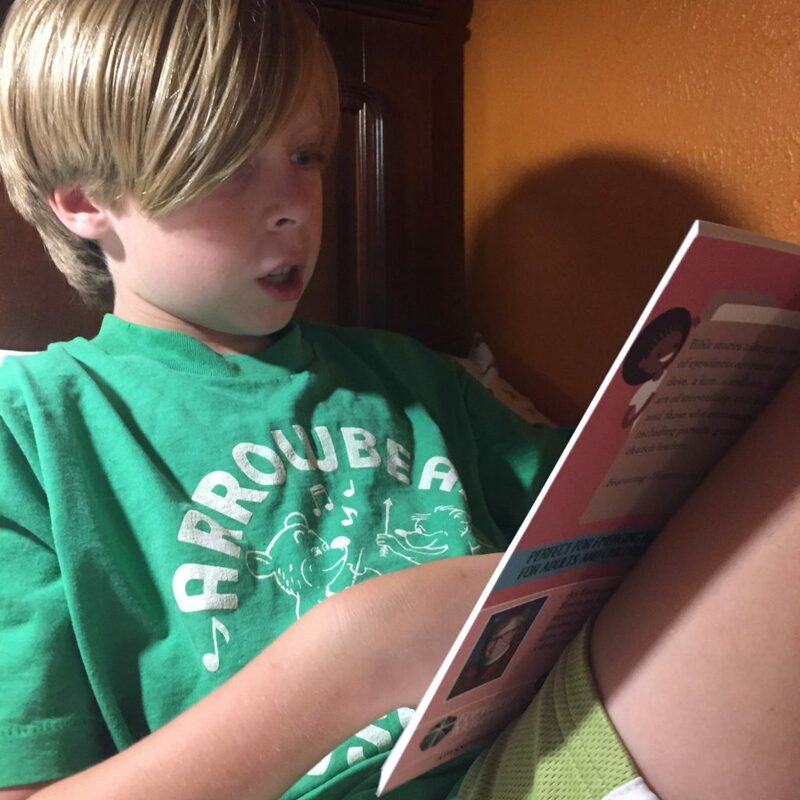 Even with a stack of library books tempting him from the bedside table, my nine-year-old willingly chose to read bible stories. We snuggled up together and read chapters he overlooked including mighty Deborah from the book of Judges, a story my son deemed as “so awesome.” This has to be some sort of parenting win. These stories are ripe with opportunities for conversation between adult and child. Lindsay even offers carefully crafted questions at the end of each chapter to keep the story going. What might you say to God if you are scared? How do you help God? When do you ask God for help and what happens when you do? Why does God care what we do with our money? The questions provided the opportunity to broach subjects we otherwise would not. 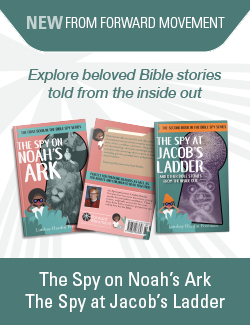 And now, dear friends, you, too, can own the two books in the The Bible Spy Series courtesy of a Forward Movement giveaway! You, too, can read, laugh and ponder with your children what it must have been like to be the whale that swallowed Jonah while swimming around in the Mediterranean Sea. Like the Grow Christians Facebook page. Then, comment on the Facebook post announcing this giveaway letting us know one of your favorite Grow Christians’ posts. Anyone over 13 living within the United States is eligible to enter this giveaway. A winner will be selected at random on October 1, 2018 and be notified by Facebook Messenger to provide a USPS address. The winner must provide an address within 48 hours or a new winner will be chosen; this will occur until a final winner is announced. So if you enter to win, watch your Facebook Messenger on Monday, October 1st! And now, dear friends, you, too, can own the two books The Bible Spy Series courtesy of a Forward Movement giveaway! You, too, can read, laugh and ponder with your children what it must have been like to be the whale that swallowed Jonah while swimming around in the Mediterranean Sea. Want to enter our giveaway? Just do two things: Like the Grow Christians Facebook page. Then, comment on the Facebook post announcing this giveaway letting us know one of your favorite Grow Christians' posts.